Homozygous haemoglobin E disease (HbE) is characterized by an abnormal form of haemoglobin, called haemoglobin E. People with this condition may have very mild anaemia, but the condition typically does not cause any symptoms. 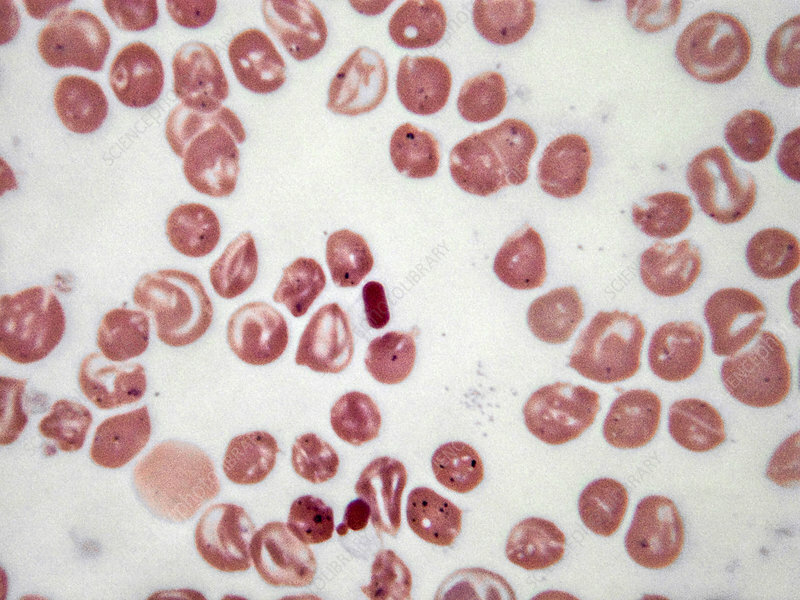 Target cells, microspherocytes and HbC crystals are found here in a blood smear from a homozygous patient. Light micrograph, Wright-Giemsa stain. Magnification: 100x.